“Book value’s virtue as a score-keeping measure is that it is easy to calculate and doesn’t involve the subjective (but important) judgments employed in calculation of intrinsic business value. It is important to understand, however, that the two terms – book value and intrinsic business value – have very different meanings. 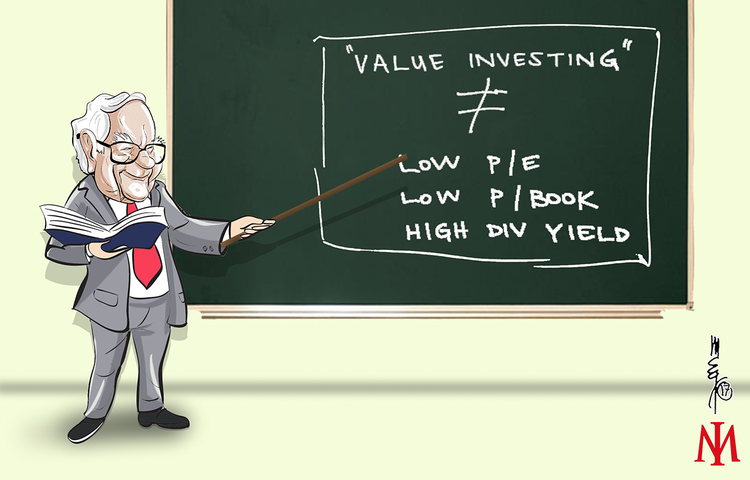 Book value is an accounting concept, recording the accumulated financial input from both contributed capital and retained earnings. Intrinsic business value is an economic concept, estimating future cash output discounted to present value. Book value tells you what has been put in; intrinsic business value estimates what can be taken out. “Some investors weight book value heavily in their stock-buying decisions (as I, in my early years, did myself). And some economists and academicians believe replacement values are of considerable importance in calculating an appropriate price level for the stock market as a whole. Those of both persuasions would have received an education at the auction we held in early 1986 to dispose of our textile machinery. The equipment sold (including some disposed of in the few months prior to the auction) took up about 750,000 square feet of factory space in New Bedford and was eminently usable. It originally cost us about $13 million, including $2 million spent in 1980-84, and had a current book value of $866,000 (after accelerated depreciation). Though no sane management would have made the investment, the equipment could have been replaced new for perhaps $30-$50 million. Gross proceeds from our sale of this equipment came to $163,122. Allowing for necessary pre- and post-sale costs, our net was less than zero. Relatively modern looms that we bought for $5,000 apiece in 1981 found no takers at $50. We finally sold them for scrap at $26 each, a sum less than removal costs. “We define intrinsic value as the discounted value of the cash that can be taken out of a business during its remaining life. Anyone calculating intrinsic value necessarily comes up with a highly subjective figure that will change both as estimates of future cash flows are revised and as interest rates move. Despite its fuzziness, however, intrinsic value is all- important and is the only logical way to evaluate the relative attractiveness of investments and businesses. To see how historical input (book value) and future output (intrinsic value) can diverge, let’s look at another form of investment, a college education. Think of the education’s cost as its “book value.” If it is to be accurate, the cost should include the earnings that were foregone by the student because he chose college rather than a job. For this exercise, we will ignore the important non-economic benefits of an education and focus strictly on its economic value. First, we must estimate the earnings that the graduate will receive over his lifetime and subtract from that figure an estimate of what he would have earned had he lacked his education. That gives us an excess earnings figure, which must then be discounted, at an appropriate interest rate, back to graduation day. The dollar result equals the intrinsic economic value of the education. Is Accounting as Useful as an Indicator as it Used to be? Recent years has seen the brisk rise in market value of businesses defined by their network effects and operational leverage to the new economy rather than those dependent on traditional accounting defined forms of capital. Also, we have seen rising domestic Gini coefficients despite global improvements in aggregate output. 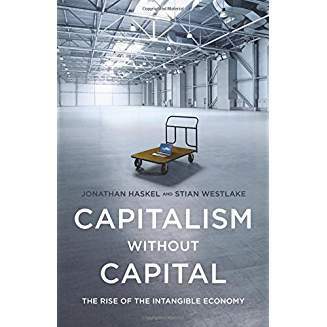 Capitalism without Capital investigates the increased investment in intangible assets and their place in the modern economy. There has been a long-term shift from tangible to intangible investment. Much of that shirt does not appear in company balance sheets and national accounts because accountants and statisticians tend not to count intangible spending as an investment, but rather as day-to-day expenses. The tangible, knowledge-based assets that intangible investment builds have different properties relative to tangible assets: they are more likely to be scalable and have sunk costs; and their benefits are likely to spill over and exhibit synergies with other intangibles. Ben Graham told a story 40 years ago that illustrates why investment professionals behave as they do: An oil prospector, moving to his heavenly reward, was met by St. Peter with bad news. “You’re qualified for residence”, said St. Peter, “but, as you can see, the compound reserved for oil men is packed. The line separating investment and speculation, which is never bright and clear, becomes blurred still further when most market participants have recently enjoyed triumphs. Nothing sedates rationality like large doses of effortless money. After a heady experience of that kind, normally sensible people drift into behavior akin to that of Cinderella at the ball. They know that overstaying the festivities ¾ that is, continuing to speculate in companies that have gigantic valuations relative to the cash they are likely to generate in the future ¾ will eventually bring on pumpkins and mice. But they nevertheless hate to miss a single minute of what is one helluva party. Therefore, the giddy participants all plan to leave just seconds before midnight. 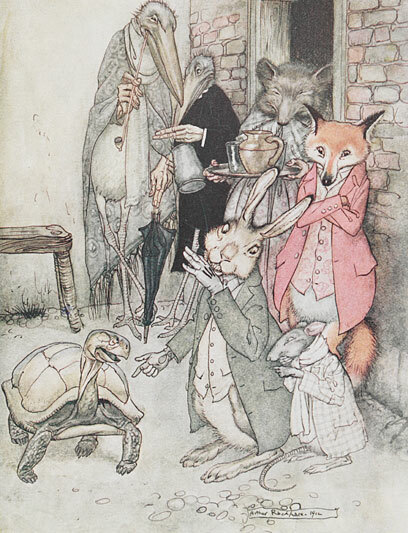 There’s a problem, though: They are dancing in a room in which the clocks have no hands. Last year (1999), we commented on the exuberance ¾ and, yes, it was irrational ¾ that prevailed, noting that investor expectations had grown to be several multiples of probable returns. One piece of evidence came from a Paine Webber-Gallup survey of investors conducted in December 1999, in which the participants were asked their opinion about the annual returns investors could expect to realize over the decade ahead. Their answers averaged 19%. That, for sure, was an irrational expectation: For American business as a whole, there couldn’t possibly be enough birds in the 2009 bush to deliver such a return.